"Shared interests in which both you and your spouse participate provide the activities in which bonding can occur." The interest factor refers to those agreed-upon shared interests and activities in which the couple in the IM relationship participates. Shared interest is the glue that bonds people in all relationships; this is even more so in the intimate relationship. As is the case with the other factors, the interest factor can serve either as a pillar of support or as a source of problems. lf the couple can participate in shared interests, then the interest factor is a supportive pillar. If the in­terest factor or pillar is weakened, however, or if its behavioral components are impaired, then the interest factor becomes the source of problems. 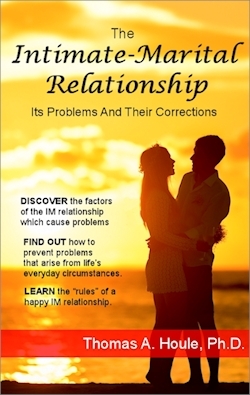 The behavioral components of any factor, including the interest factor, are the main cause of difficulty in the IM relationship. They become the source of problems when they are inappropriately performed or are nonexistent. 5) the amount of time spent in shared inter­ests. The task of balancing one's self-interest with the self-interest of anoth­er is universal; it transcends all relationships. None of us can escape this balancing act. We have to share in the interest of others or nobody will want to be our friend. And no husband or wife can exclusively sat­isfy his or her self-interests in the marriage without doing some damage to the IM relationship. This doesn't mean that you have to surrender your self-interest; in fact, you can't. You need only to balance your self-interest with that of your spouse. A lot or a little. You decide. There is no magic number of shared interests a couple should have. Some can do with very few, while others need many. The question you need to ask yourself is this: What is a sufficient number to satisfy me? lf you are a person who is bored easily, then a large number of shared interests is desirable. if your spouse is also bored eas­ily, then you both can engage in a large number of interests. lf you and your spouse are content with one or a few interests, you can enhance the interest by digging deeper into the one of the few interests you do have in common. For example, if your shared interest is food and its preparation, you can explore the various seasonings that accompany various foods or foods associated with different nationalities and cultures. together= adverb: "at the same time"
Having interests in common is great. But simply having these interests isn't enough. Another important ingredient must operate at the same time to ensure a fulfilling relationship. That important ingredient is joint participa­tion in shared interests. For example, if you and your spouse share an interest in a sport, you both must participate in that sport (or some aspect of it) for the interest to be meaningful. Not enough can be said about joint participa­tion. Shared interests in which both you and your spouse participate provide the activities in which bonding can occur. 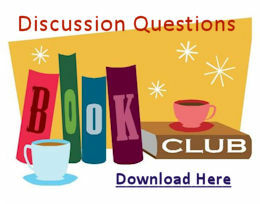 For more on The Interest Factor see Chapter 9 in the book. I was blown away by the insights in the chapter regarding life's circumstances! Sometimes I think you get so caught up in job things, you lose sight of what's important. Really glad I read this.